Samsung Galaxy S7 Edge is the product of a South Korea-based multinational company, which was founded on March 1, 1938, by Lee Byung-chu at Daegu, South Korea. Samsung is the largest mobile company in South Korea and one of the most popular mobile phone company in the world have produced many phones of different specifications and price. 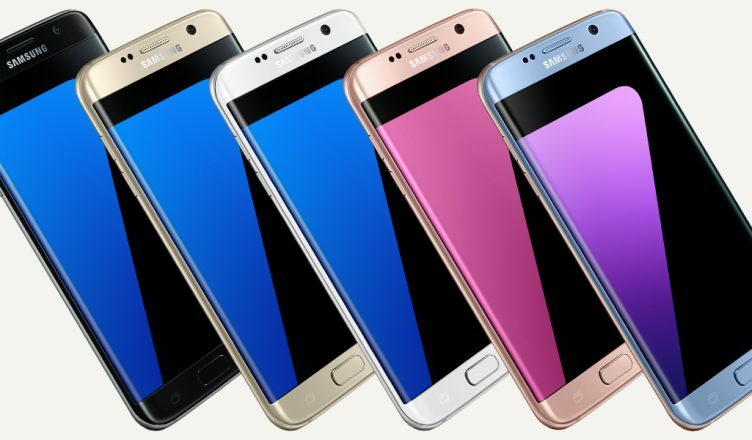 In 2016 Samsung released their two flagship phones Samsung Galaxy S7and S7 Edge as a successor for the last year Flagship device. Although these two phones were released simultaneously, Samsung was able to differentiate between its two flagship handsets for 2016. Samsung Galaxy S7 Edge is packed with great and eye-catching specifications filling up the missing specifications in the 2015 flagship phone, the Expandable storage and the water and dust proof. Even a year after Samsung Galaxy S7 is rocking the Smartphone market though this sport is been occupied by the Samsung S8 now the S7 is never outdated. The Samsung Galaxy S7 Edge as the name sounds is a dual edge screen design smartphone, featuring a screen size of 5.5-inches touchscreen display with a resolution of 1440 pixels by 2560 pixels at a PPI of 534 pixels per inch. This smartphone weighs 157 g.
Samsung Galaxy S7 Edge is protected by a Corning Gorilla Glass 4 back pane and thanks to the edge screen which unlike the former Samsung curve phone help make the phone more slim than its predecessor. The back of the S7 Edge may lack metal but thanks to this, wireless charging is allowed and also it makes the phone more secure because this back cover catches the fingerprint of anybody that holds your phone which makes it a no-go area for criminals. 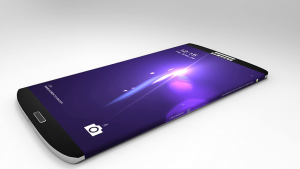 Samsung Galaxy S7 Edge is a Curved 5.5″ Super AMOLED display smartphone with QHD resolution of 2,560 x 1,440. This 2016 flagship device measures 150.9 x 72.6 x 7.7mm, and display colour up to 16 million which gives the device a colourful and bright display. As far as the Samsung S7 Edge performance is concerned, there are hardware options for depending on the country which it is used. For the UK the smartphone is powered by Exynos 8 Octa, an eight-core chipset of Samsung’s own development. While Other countries user is powered by the Qualcomm Snapdragon 820 and also offers Quad-core 1.6 GH or Octa-core 1.6 GHz Cortex and graphics of Adreno 530 or Mali-T880 MP12 which helps produces an optimum performance with less power consumption & more which helps the device to work very fast. J5 Prime runs on the android 6.0 Marshmallow and can also be upgraded to the latest android version 7.0 Nougat in addition to this android version, the Samsung TouchWiz which was once a nightmare and a taboo to Samsung product has now received the sport light, it is now clearer and smoother and colourful in every right place. The Samsung Touchwiz skin has reached the stage where it is recognized as a blessing. 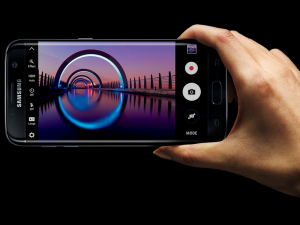 Samsung Galaxy S7 Edge comes with a 4GB RAM and packs 32GB of internal storage, finally Samsung has returned the microSD card to the device giving it an upper hand over the last flagship device Samsung galaxy S6 and Edge, the storage can be expanded up to 200GB via a microSD card which is enough to store any document. Though when it comes to battery Samsung is still on the run they are yet to reach their destination but still, they are able to hold their user up for at least 14 hours before. This smartphone is powered by a non-removable 3,600 mAh battery which is a huge update from the 2,600mAh used by the S6. Thanks to the processor and OS the phone does not drains the battery life fast at least it spent up to a day. FULL SPECIFICATION, PRICE, AND AVAILABILITY SAMSUNG Galaxy S7 Edge. CAMERA Primary 12 MP, f/1.7, 26mm, phase detection autofocus, OIS, LED flash. Features 1/2.5″ sensor size, 1.4 µm pixel size, geo-tagging, simultaneous 4K video and 9MP image recording, touch focus, face/smile detection, Auto HDR, panorama. Video 2160p@30fps, 1080p@60fps, 720p@240fps, HDR, dual-video recording. Looking for where to buy Samsung Galaxy S7 Edge in Nigeria? It is very simple and stress-free, to avoid buying the refurbished product, the best option and the smartest move is to order from an online shopping store. The best online shopping website to buy your Samsung GalaxyS7 Edge is Kara.com.ng. where you can order your preferred series at the best selling price in Nigeria and also enjoy fast delivery to any location in Nigeria. Samsung J5 Prime Specification, Price, And Availability In Nigeria. Samsung Galaxy A7 (2017) Review, Specification, and Price in Nigeria.